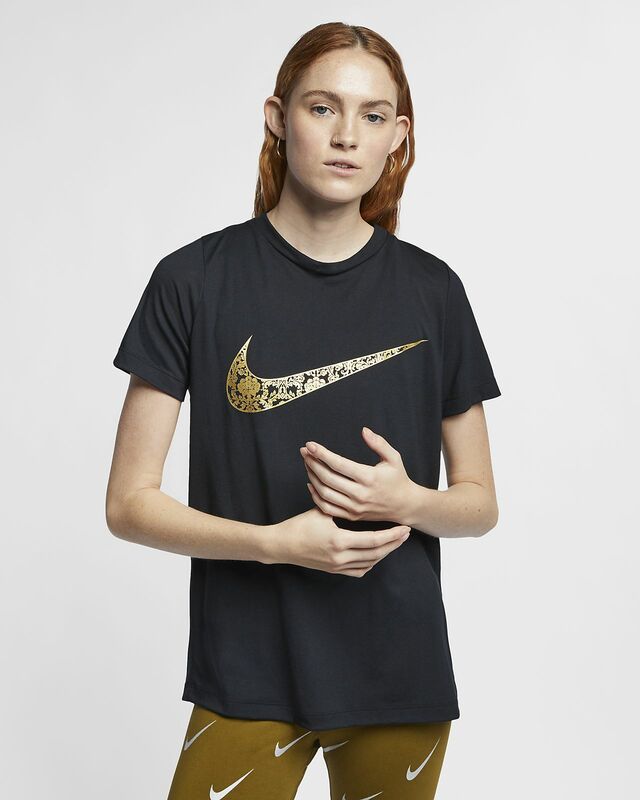 The Nike Sportswear Essential T-Shirt is made with soft jersey fabric. Its classic logo is filled with florals for a fresh, feminine look. Hem is longer in the back to help keep you covered. 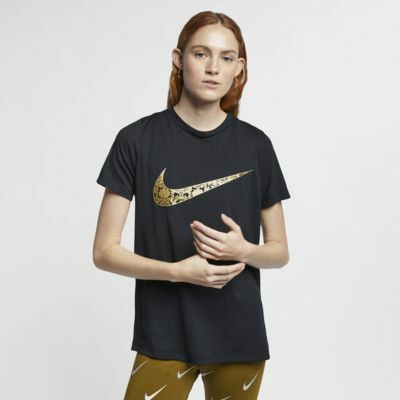 Swoosh design trademark is filled with a floral print.